An international research project with the involvement of Universitat Autònoma de Barcelona (UAB) and the Animal Health Research Centre (IRTA-CReSA), has designed a vaccine shown to be effective in protecting dromedaries against the Middle East respiratory syndrome coronavirus (MERS-CoV). This vaccine may reduce animal-to-animal and animal-to-human infections by significantly reducing nasal excretion of the virus, and could be also tested for the protection of persons at greater risk of infection by the virus. The present research, coordinated by the Erasmus Medical Centre (Rotterdam, Netherlands) and published in Science, included Joaquim Segalés, lecturer in the Department of Animal Health and Anatomy at the UAB and researcher assigned to IRTA, Albert Bensaid, IRTA researcher, and David Solanes, head of the Biocontainment Unit at IRTA-CReSA, together with the technical staff at the Biocontainment Unit. Dromedaries and other camels act as reservoirs for MERS-CoV, a coronavirus that lodges in their upper respiratory tracts: nose, larynx, pharynx and trachea. The animals usually develop a mild infection, which in some cases causes abundant mucus production, and are usually carriers of the virus, making them a high risk of infection for both animals and humans. Transmission from animals to humans seems to be through the animals’ nasal secretions, involving contact or aerogenous dissemination. A number of cases of MERS in humans have been attributed to human-to-human transmission. Although the symptoms of the illness can be those of a common cold, it is highly dangerous, leading to death in 35% of cases. The researchers used eight dromedaries (four vaccinated and four unvaccinated) to test the protective efficacy of MVA-S, a modified vaccine based on the orthopoxvirus virus Vaccinia Virus Ankara, which expresses the MERS-CoV spike (S) protein – regarded as a key to neutralize coronaviruses. The results show that the vaccine is able to protect the animals at the level of the upper respiratory tract. Compared to the control (unvaccinated) dromedaries, those that were vaccinated and subsequently infected with MERS-CoV showed a significant reduction in viruses excreted from the respiratory tract. The protection was also demonstrated by the presence of antibodies that were able to neutralize the virus, by preventing its replication, in the serum of the vaccinated animals and in their nasal cavities. None of the vaccinated animals developed clinical signs associated with infection on being inoculated with the virus. Only the control animals developed cold-like signs, with increased nasal mucus secretion. The results obtained indicate that vaccination with MVA-S would serve mainly to reduce excretion of the virus and therefore its propagation. 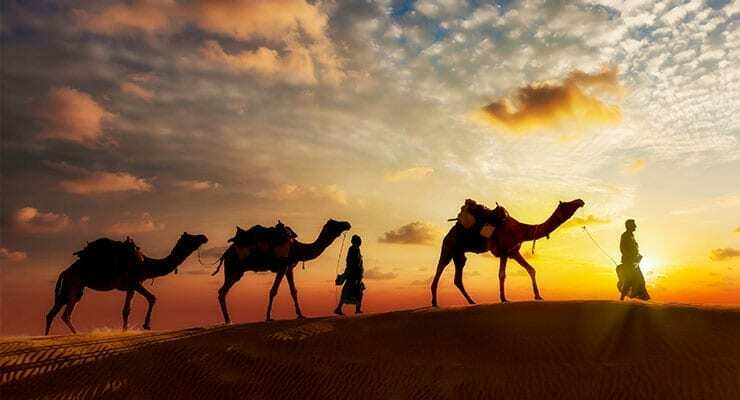 Furthermore, the researchers believe that vaccinating the youngest dromedaries could significantly reduce excretion of the virus, since these individuals excrete larger quantities of MERS-CoV than adults, which suggests they should be vaccinated first. The researchers also note that the vaccine based on MVA-S could also be tested on persons at higher risk of being infected by the virus, such as hospital workers and those in regular contact with dromedaries. However, taking into account that mucus immunity is usually a short-term effect, further studies are needed to determine the duration of the protection afforded by the vaccine. “It could be that total protection against MERS-coronavirus will never be attained, since there is low-level virus replication in the upper respiratory tract even in the presence of specific antibodies, similarly to other respiratory viruses, like the SARS coronavirus”, explains Joaquim Segalés. “This is nonetheless a very significant step forward in the fight against this pathogen; now we need to delve more deeply into the duration of the immunity and dosage before applying it in real situations”. Finally, the study highlights a possible dual use of MVA-S. On using the orthopoxvirus Vaccinia Virus Ankara as a vector, this virus is able to induce cross-protection, so that, on generating specific MVA antibodies, the latter can also neutralize camelpox, another orthopoxvirus that frequently affects dromedaries and other camels, causing generalized infections and skin lesions.